The Play Pass serves as the entrance ticket to 13 attractions and costs 60% less than paying separate admission prices. The Play Pass includes entry to Fort Siloso, The Flying Trapeze, Sentosa CineBlast, Desperados, Sentosa 4D Magix, Tiger Sky Tower, The Merlion, Butterfly Park & Insect Kingdom, Images of Singapore, Bi-Pedal Bicycle, Segway Fun Ride, Luge & SkyRide, and Sentosa Nature Discovery Guided Tour. There is a surcharge on weekends and public holidays and the Play Pass costs SGD69.90 (USD55) for adults and SGD51.90 (USD41) for children. A half-day Play Pass is also available and includes admission to your choice of 4 of the 13 attractions. Prices are SGD37.90 (USD30) for adults and SGD31.90 (USD25) for children. Half-day Play Passes cost an additional SGD2 (USD1.60) on weekends and public holidays. For more information about the Play Pass, visit the official Sentosa website at http://www.sentosa.com.sg/. Passes can be bought at ticket kiosks on Sentosa Island. 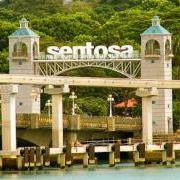 Questions can be directed to guest_services@sentosa.com.sg or 1-800-SENTOSA (within Singapore). The Sentosa Play Pass is an on-going offer and is available until further notice.